Check out this recent event booking! 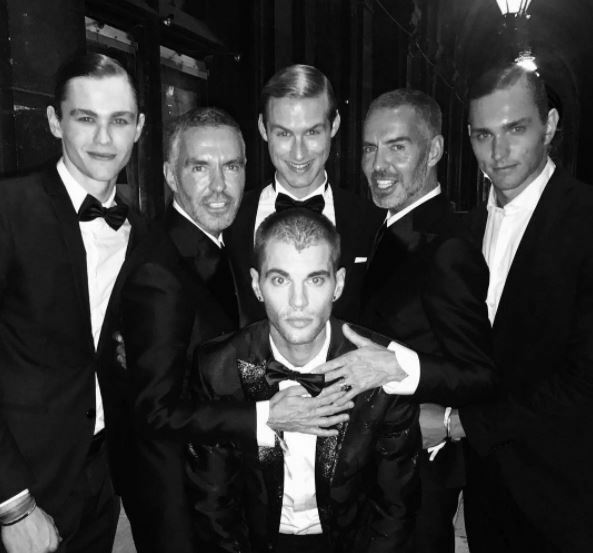 MMG's Anthony can be seen photographed withÂ Dean and Dan Caten, designers ofÂ DSQUARED2 at their annual #LifeBall2017 event. As a highly coveted, extraordinarily colorful, and meaningful event, The Life Ball has a great cause. Raising awareness for the fight against AIDS & HIV, The Life Ball also focuses on eliminating taboos and addressing socio-political issues around the virus. Industry professionals recognize MMG nationally and internationally as a highly successful, model and talent management company, ranked by IMDB in the top 1% of all television and film management. MMGâ€™s headquarters are in New York City. With associate companies in LA, Toronto, Vancouver, Europe and Asia. MMG provides a unique advantage to their talent by creating opportunities worldwide. This enables talent from each company to easily move from market to market at a momentâ€™s notice, gaining quality representation from any of the local offices. As full-service management company, MMG represents a wide range of individuals. MMGâ€™s Actors, Models, Celebrities, Influencers and more appear in the vast spectrum of Film, Television, Commercials, Voiceovers, Music, Appearances and Print. MMG talent can be seen in many current print ad campaigns, magazines, feature films, television shows, and commercials. To view some of our recent bookings, be sure to visit our â€œBlogâ€ page. You can also check us out on Instagram (@nymmg) and Facebook (MMG- Model Management Group USA & Canada).